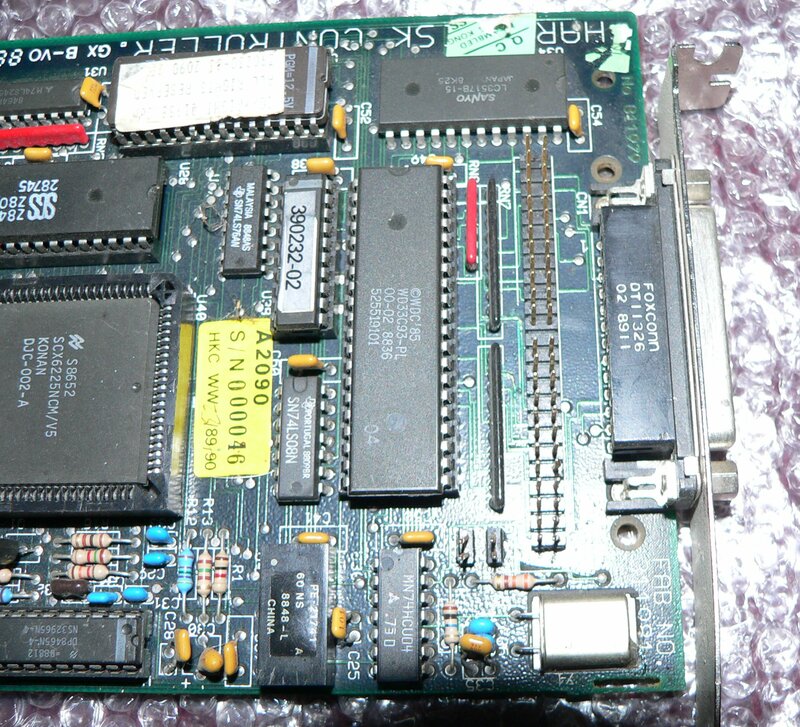 The A2090 is a full length Zorro II card which contains a SCSI controller and an ST506 (IBM XT MFM) controller. The card does not support autobooting, however there were solutions released which allowed the card to boot, such as the Commodore Autoboot Card or the Combitec AutoBoot Card (A2090b). This card is known by serveral names, but it is the same hardware. For example the SCSI controller supplied with the A2500 is simply this card. It was also known as the A2092 which was simply this card packaged as a "Hard Disk Upgrade Kit", including a 40MB hard drive for the A2000. To confuse matters further this "Hard Disk Upgrade Kit" was sometimes referred to as the A2094. The A2090a is simply this card, prefitted with auto-booting ROMS. The card uses the Zilog 80B processor. If you intend to use this card in Zorro III machines, then all drivers and buffers must be loaded into Chip RAM and not Fast RAM. Bootable versions of this card uses its own custom booting method and ironically does not use the Commodore RDB standard which most hard drive controllers use. In order to prep and format the drive, a special prepping utility is required. You cannot have partitions larger than 256MB without a patch. In order to autoboot, you need at least Kickstart 1.3.